In veterinary school we had a class called “restraint.” One of Merriam Webster’s definitions is restricting movement. From experience, I’ll tell you that “restraint” in vet med often meant heavy metal gates, squeeze chutes, ropes, twitches, and rodeo/judo throws, plus the old standby, pile-‘o-techs imprisonment. Between growing up on a ranch, going to veterinary school, and practicing for four decades, I regret having been part of all of the above. One particularly painful regret is how brutally we were taught to handle cats. First, you’d grab a cat by the scruff (the hair/skin on the back of the neck) and, with the cat held midair and in a catatonic state (no kidding), you’d grab the back legs and stretch them out about as far as you could. The “joke” (definitely no laughing matter looking back on it now) was that their head would be in one zip code and their rear would be in another. 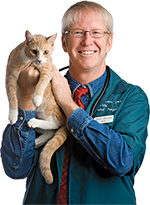 With the cat stretched out, the veterinary hell-care team (not a typo) would do procedures from routine shaving and drawing blood to cystocentesis (tapping the bladder via a needle through the abdomen), ear cleanings, wound dressings, trimming nails, you name it. Just imagine, 150-200 lbs of human stretching out a 7-10 lb cat. It would be the human equivalent of a 4,000 lb animal grabbing a human by the head and ankles and stretching us out like a beastly torture rack. Looking back with 20/20 vision, I so regret all of the cats that we treated, no, mistreated, this way. It was just what we were taught in veterinary school and what was accepted as a reasonable standard of care. 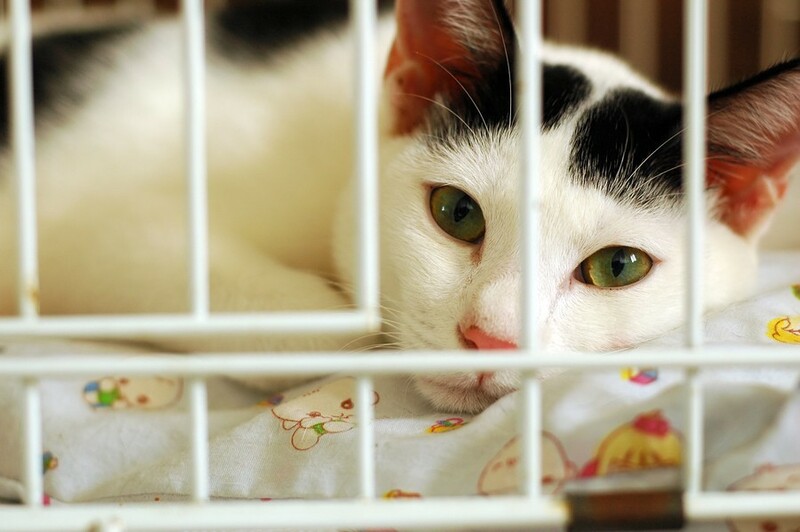 Now with Fear Free veterinary visits, we use something called Gentle Control to get positional compliance, never once causing the cat physical or emotional trauma. Back in the day, “restraint” was a battle to be fought to protect us (the caregivers). Today, thanks to Fear Free and the work of legends like the late Dr. Sophia Yin, Gentle Control is a battle to be fought to protect the pet.